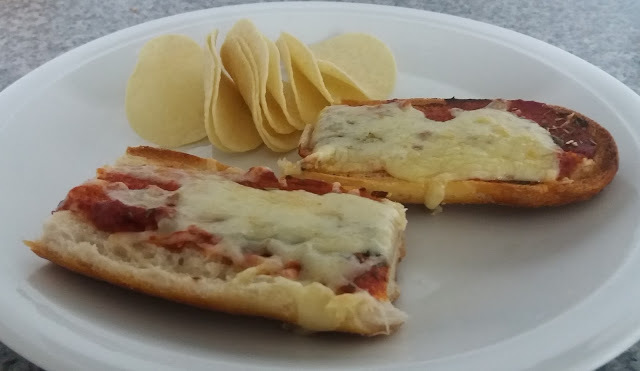 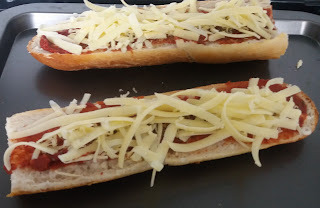 Bringing back memories of convenience food from the 1980s, but actually very tasty and extremely quick and easy to make. 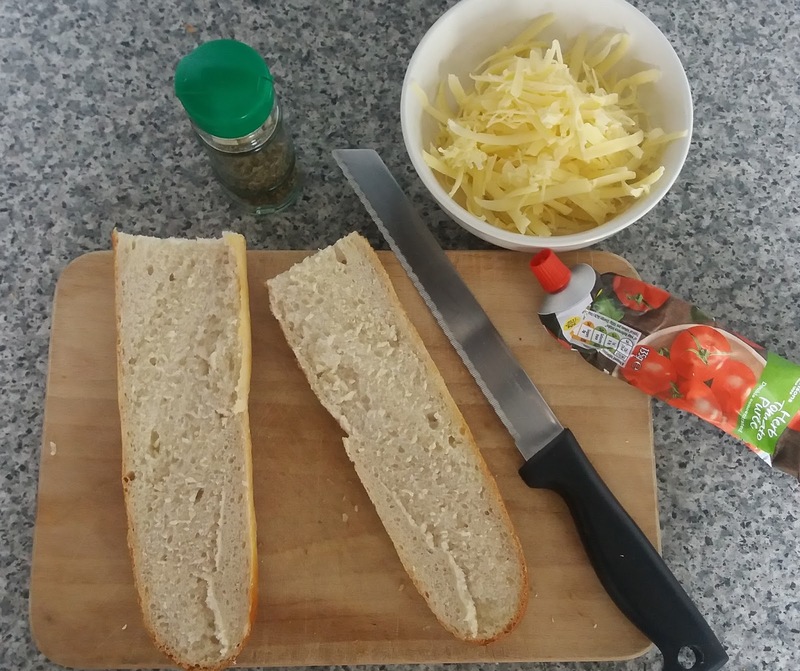 Forget the current craze for just 5 ingredients, this needs only 4! Cut the bread in half and place on a baking tray. 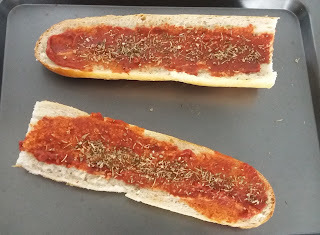 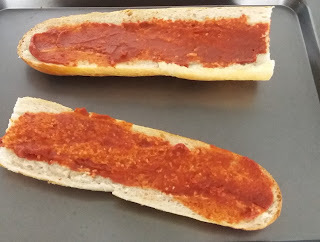 Spread with the tomato puree. Place under the grill until cheese has bubbled.